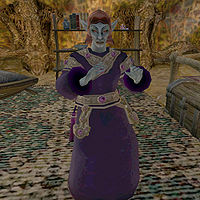 Reynel Uvirith is a Dunmer mage and Wizard of House Telvanni who lives in Tel Uvirith (unless you are the owner of Tel Uvirith). Slay Reynel Uvirith: Kill this Telvanni wizard at Tel Uvirith. This page was last modified on 13 May 2013, at 17:51.